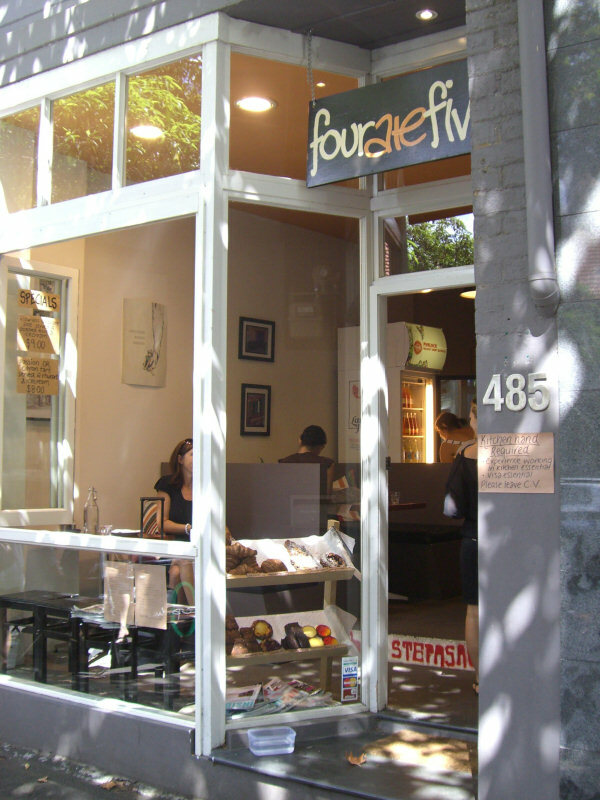 Nestled inbetween boutique clothing stores and other trendy cafés, Fouratefive has seating to please all. 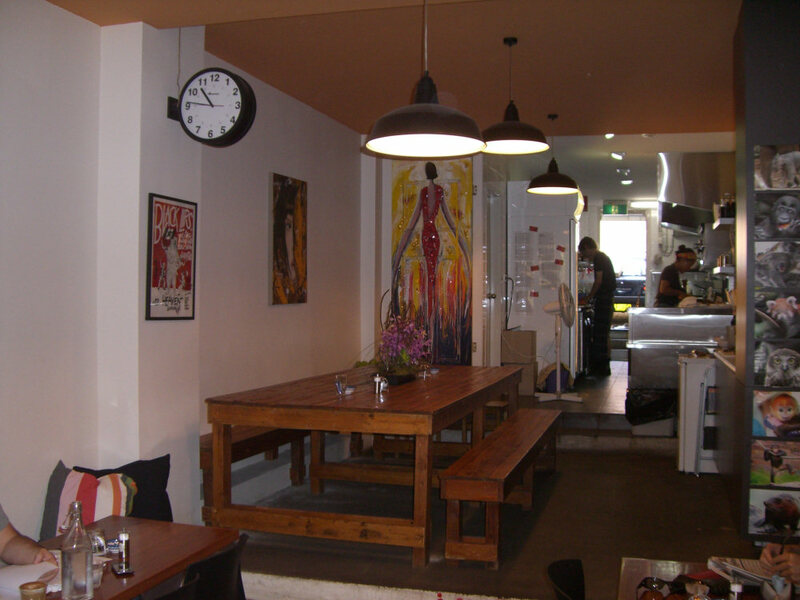 From the outdoor tables on Crown Street to stools at the window, benches inside and a large table that would suit a big group. The staff at Fouratfive were fantastic. They were attentive, friendly and fast. Chilled glasses and cold water were brought out to us soon after sitting down. Pets are welcome – our waitress even brought two sausages and a bowl of water out for our dog! There are a variety of freshly squeezed juices on offer such as apple, pineapple, orange, passionfruit, watermelon, apple, lemon and ginger. 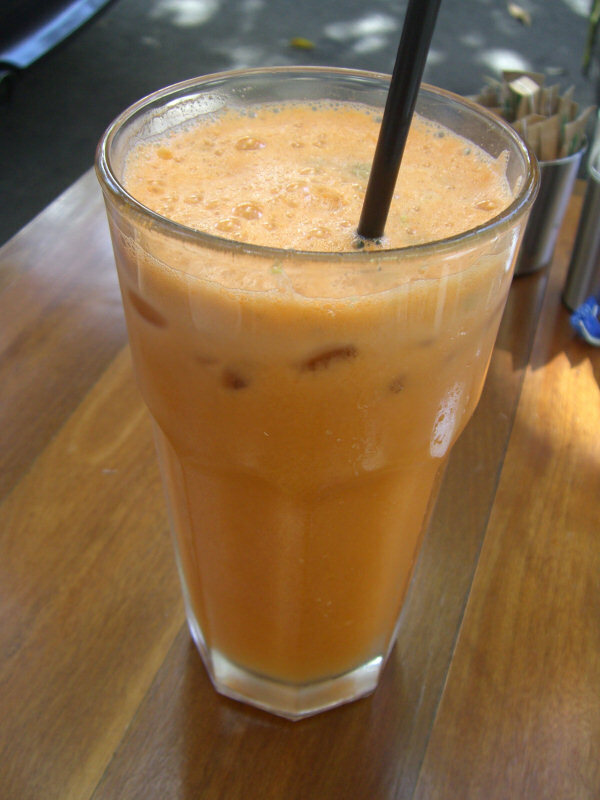 One of our party treated themselves to a carrot, apple & ginger juice ($5) and was very happy with the fresh, cold and flavoursome drink. The ginger added a great flavour boost. The skim cappuccino ($3.50) was fantastic and was served by the very friendly barista. 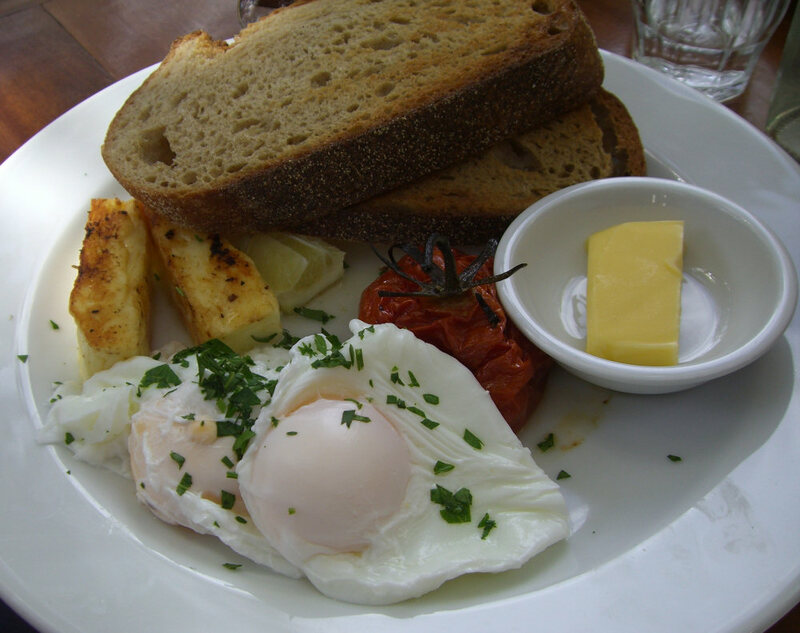 The free range eggs ($8.50) are served either scrambled, poached or fried with a choice of toast: organic sourdough, soy & linseed, ciabatta or rye spelt. We chose rye spelt for our dish. The price of $8.50 is reasonable but it’s once you add ingredients to the dish that the price rises too quickly. We added haloumi ($4) and roasted truss tomatoes ($3). You can see from the photo that we received two small strips of haloumi and a tomato – not what a hungry patron would have expected. Despite our concern over the price of these additions, we were very impressed with this dish. Despite it’s simplicity, it was well cooked and presented. The lemon with the haloumi was a nice touch and the eggs were poached perfectly. Fouratefive’s Facebook page asks the question: Why did 4 eat 5? The answer: Cos it tasted like morrocan baked eggs! After eating this dish you will be enlightened enought o understand this pearl of wisdom. Or not. Either way, you will be amazed at the flavours baked into this dish. 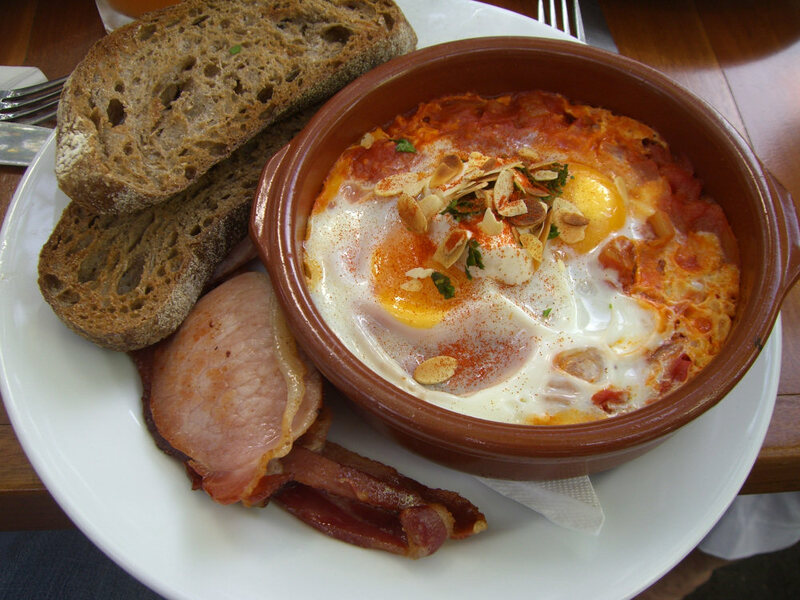 The baked eggs ($15) contains two eggs and is surrounded by a spiced tomato and capsicum based sauce. It is similar to the oven baked eggs from Bar Sirocco but definitely unique. The sauce contains an amazing blend of spices and the paprika gives the dish a nice kick. The eggs are topped with some labna and almonds and the result must be experienced to be believed. What a fantastic combination. 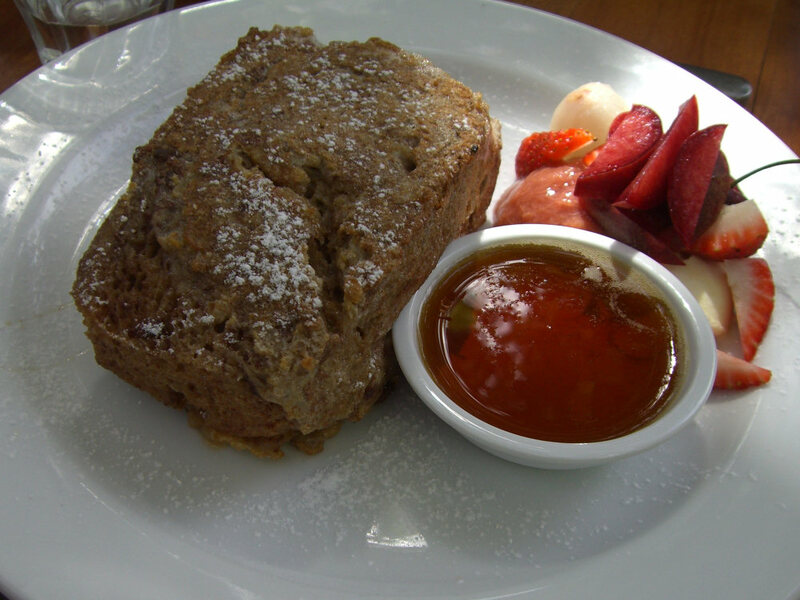 Not your everyday-looking French toast but another dish that shows how inspired the chefs at Fouratefive are. The french toast ($12) contained almost whole bananas slice in half through the middle of it. The flavour of the toast was similar to banana bread. It was slightly crisp on the outside but moist and soft inside. The toast is served with maple syrup marscapone and rhubarb. All-in-all a dish that we could not leave until it was all gone! After seeing your post I had to try the baked eggs for myself…. delish!!! It’s clear this cafe has earned many fans! If you have any other suggestions, please let us know. We’ve got a big task ahead of us. Better start wearing stretchy pants on Sundays to make room for more delicious food. Quite the unique experience and the best service particularly from the front counter to the fatherest sink in the kitchen. Exquiste Salmon and the eggs were the freshest for an inner city cafe. The unique layout blew my mind. no big counter between the customer and the staff. Makes for quite an amazing experience and a big plus. Nice to see everyone enjoying themselves. There was one problem I live to far away to enjoy the entire menu. 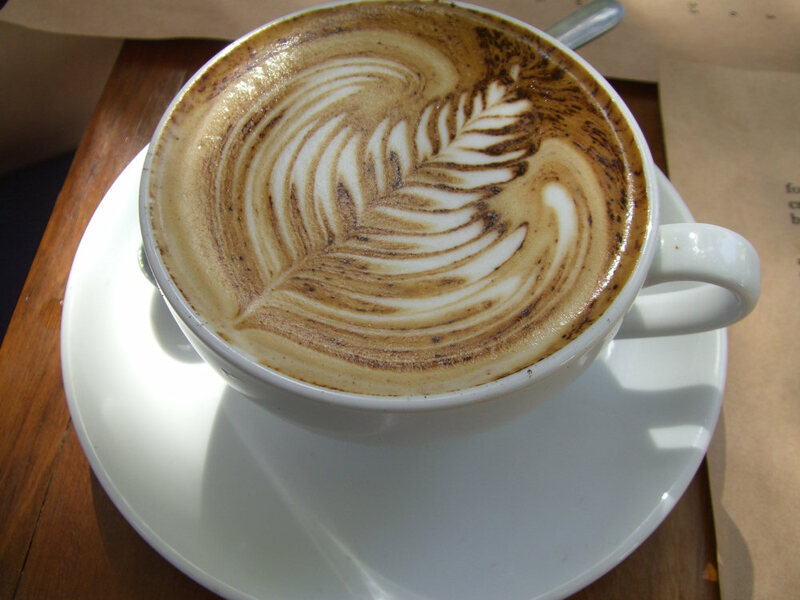 Absolutely the best coffee and service in the eastern suburbs of Sydney. Staff really know their food, and present with an un pretentious attitude that I have come to expect as the ‘norm’ in local cafe’s. Will definitely be back – save me a seat!